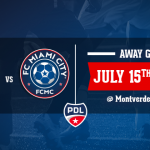 MIAMI-Fla. – Miami’s Official team begun its 3rd season when the pre-season soccer practice got underway on Monday, February 27th with all players in action. Our 2016 season has gone amazingly well. We have experienced great momentum and achieved so much in the past 12-18 months. 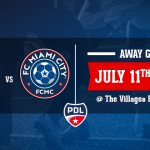 With more exciting news on the horizon the future is remarkably bright for the FC Miami City. “In addition to our usual objectives, we are excited to see such a great enthusiasm around the team.” commented General Manager Youri Vaisse. “With our tryouts conducted in Paris this year, we have several talented players joining the team in addition to our current roster. The French crew will join the team at the end of March at the latest” Vaisse said. 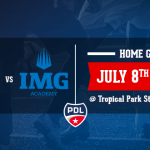 We will keep playing our Home games at Tropical Park Stadium. As we have done last season, admission for our games will be free. Also, note that our schedule will be released very soon.